In Kippi, a bear plays the drums and walks to his own Kippiny beat. Find him exploring The Forest! His name is Billie Kippin. Kippins soft Kiplet rattles are very Kippiny. Made from 100% pure organic cotton with a naturally antibacterial beech wood teething ring that clips on and off, they’re so gentle on new skin and planet friendly. Use them as a small soft toy, rattle, teething toy, on a play gym or on-the-go! Each Kiplet rattle is designed to match their Kippin counterpart. 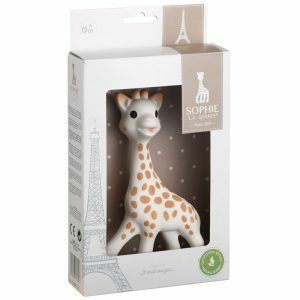 Baby will love to shake them to hear a soft rattling sound and have a chomp on the 100% natural and eco-friendly raw beechwood teether! 100% organic cotton, printed with water based inks and filled with 100% organic cotton. They’re gentle on new skin and planet friendly. 100% organic cotton, aqua blue, white, black and grey bear rattle with grey reverse. Cold hand or spot wash with mild detergent. Do not bleach, do not not rub, soak or wring. Do not tumble dry. Dry naturally in shade. You can find the matching Kippin Cuddle Blankie here. We specialise in providing NZ babies and their Mums with affordable high quality baby products. Checkout today and enjoy FREE shipping on all NZ orders over $70.